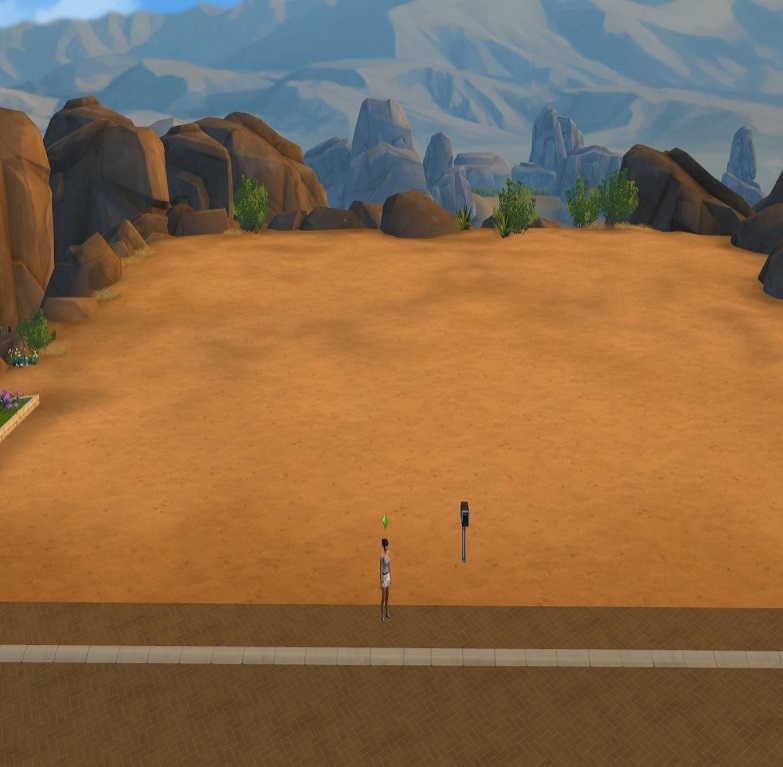 Ariana Sloane took one look at her bare surroundings and immediately thought what a bad idea it was to spend her entire savings on a huge plot of land in Oasis Springs, a desert town, knowing full well it would be months before she could save enough money to build a house on it. This town was surprisingly lacking hotels so Ariana knew she would have to camp out on the sandy dirt ground of her new property until she would be able to put a roof over her head. Nevertheless, it did have a scenic view of the canyons at the back and it seemed she only had one neighbour in the vicinity which meant it would be a nice quiet place for her to start her new exciting life. The last few years for her were tough since losing both parents in a car accident when she was just a teenager. She bounced around foster homes until she graduated high school and became a young adult. 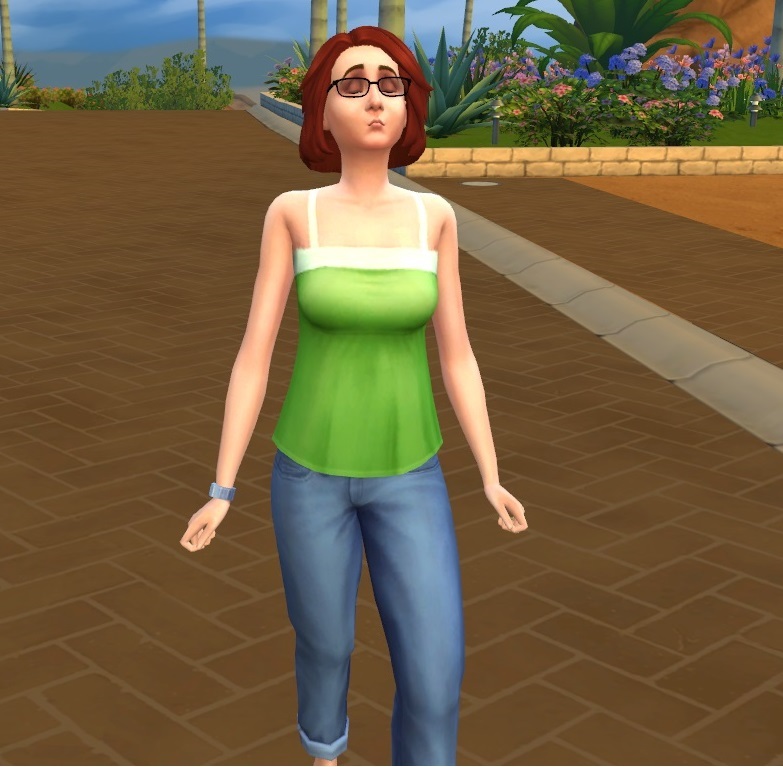 She worked for a couple of years doing odd jobs until she had 11,800 simoleons in savings. She always desired living in a big house in Oasis Springs. Unfortunately the real estate in Oasis Springs was quite pricy and the only places she could afford were too small and too cheap looking – not a good investment in the long run. Ariana dreamt of having a large, loving family and she knew she would need a lot of space for it. But she didn’t expect that space to cost her 10,000 simoleons! It didn’t matter though because now it was home. Ariana decided to check online with her smart phone for any job openings. She managed to find an opening as a Palette Cleaner under the Painter career. She was always artistic and her art projects in school always earned the highest scores in the class. Perhaps, this job would be the best fit for her and so she applied and got an immediate response informing her to come to the museum at 8 am that morning for an interview. She couldn’t believe it happened so fast. Just as she thought about looking for a video online to buy her time she heard someone whistling as they strolled behind her. When she turned around it was a redheaded woman wearing glasses and the snootiest expression on her face. “Whatever. I’m not going to waste my time on you. Unlike you I have a beautiful house to get to.” And with that Eliza strolled down the sidewalk. Ariana and Zoe shared a laugh for a few minutes. It was nice for her to meet someone friendly after her encounter with Eliza. 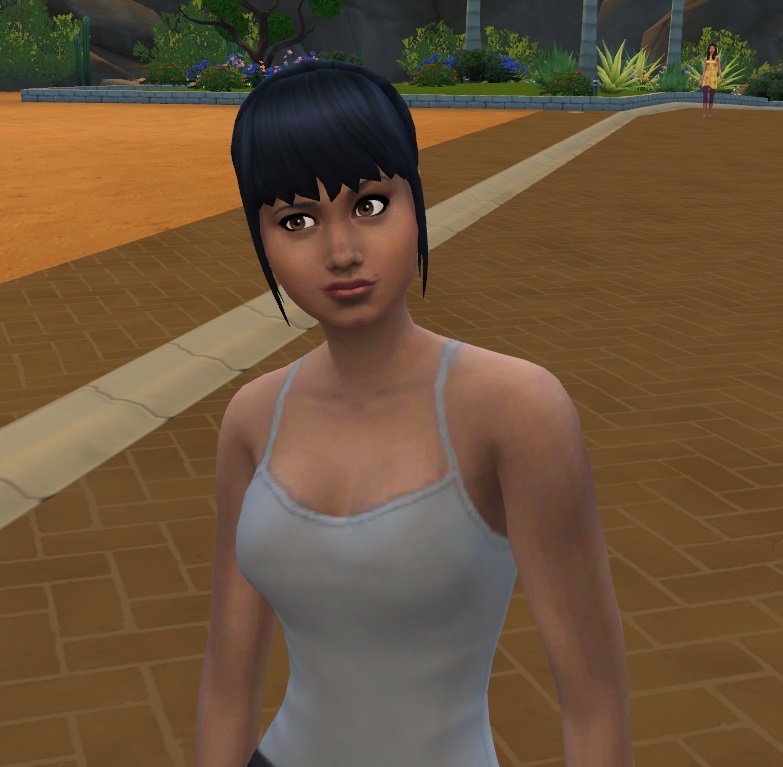 She was beginning to wonder if everyone in Oasis Springs were just like her. “Welcome to Oasis Springs. It’s a really nice place.” Zoe said to her. They chatted a bit about their backgrounds. Zoe told her that she shared a house with three other roommates – three guys! Ariana couldn’t imagine having so many roommates especially when they were all men. Zoe seemed really sweet so she was sure at least one of them had a crush on her even though Zoe talked about them like they were her brothers. Zoe left when it started to get dark so Ariana decided to put out some of the furniture she was able to afford to buy. Admittedly it did look quite tacky to her and she hoped that Eliza woman or anyone else didn’t pass by to insult her about having her bed and refrigerator out in the yard. Still Ariana enjoyed a bowl of cereal as she sat on her bed under the light of the stars and the moon. 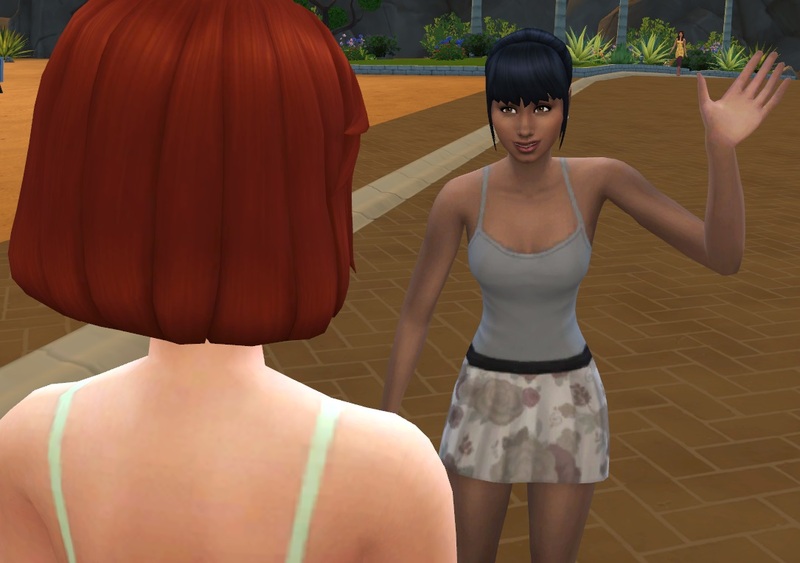 She moved in, made a new friend in Zoe and got an interview for a job all in one day! Ariana felt good knowing that she made the right decision by coming here after all. Like where this is headed so far. Looking forward to more updates. Nice story so far! Thanks for following me! Thanks a lot! I’m glad you’re enjoying it. I really likes yours. It’s really fun to read! I cracked up. I’m imagining her talking like Juila Child ^_^ And yay, Ariana made a friend- and her friend is a Patel, haha! I’m gonna pretend our characters are friends in some distant alternate sim-verse. Can’t wait to get caught up! Ariana is very pretty and I’m eager to read about her adventures. I also like the way you create a story for common characters. I always like that. Just started and I’m loving it! Ariana is so pretty! She looks like a real person, not like a model-turned-Sim. Okay time to get stuck into a new legacy 🙂 like her attitude. I’ve been meaning to start this legacy and today is the day! 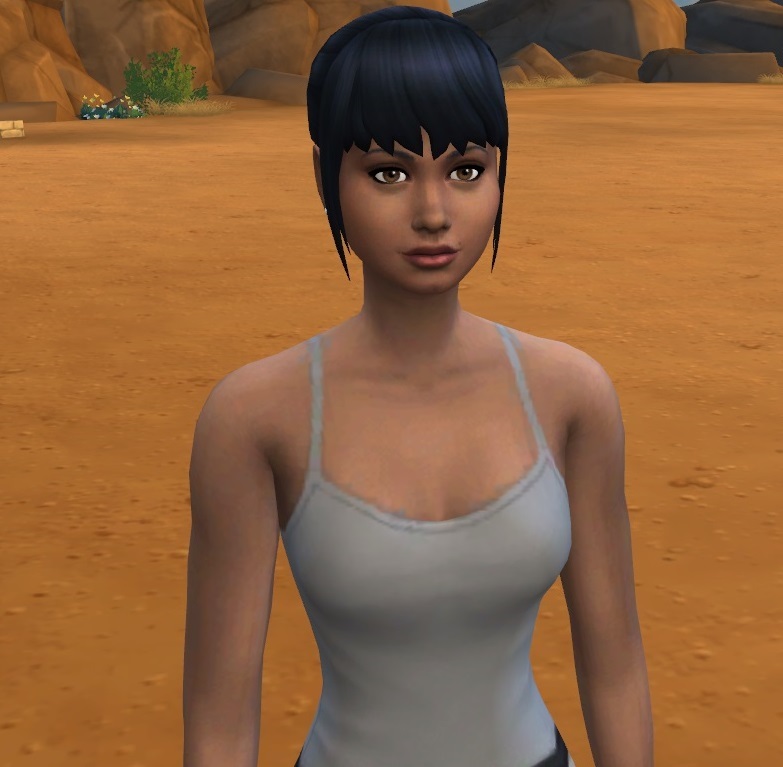 Can’t wait to read all about Ariana’s adventures in Oasis Springs! I’m so impressed that you’ve gotten to Gen 6! Great story so far! 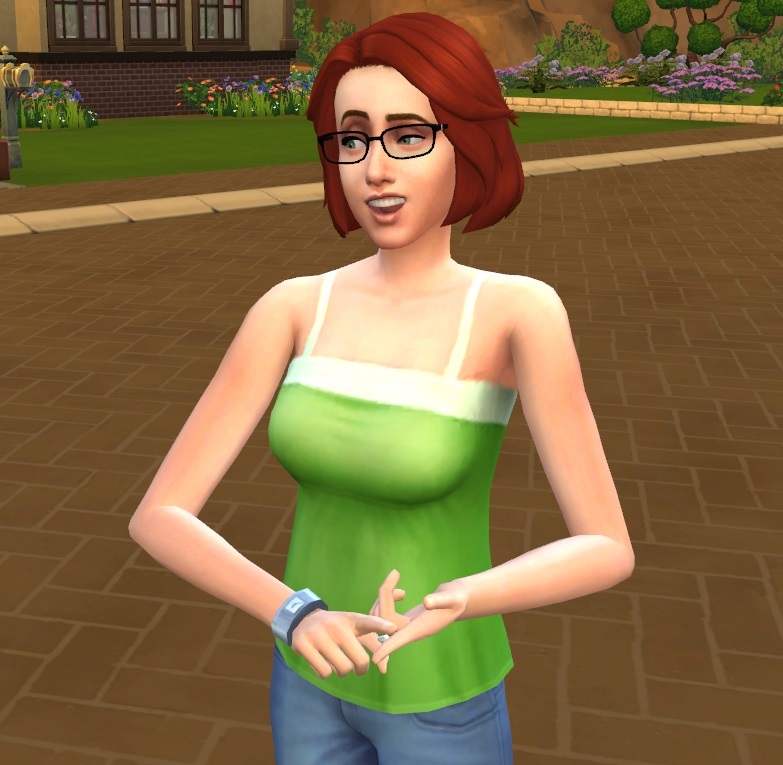 I have just started reading after searching for a great Sims 4 Legacy! I’m excited to see the story progress. This a fab! I’m soooo late to the party on this, but on the plus side there’s so much to binge on! I’ve been following for a while, but I’ve been really bad about taking the time to actually read ;; I’ve always really loved Legacy stories and am impressed with anyone who can manage to get past generation 2 or 3; I’ve always struggled to. I’m looking forward to catching up and seeing where things take Ariana! When I first saw that (I saw Bob not Eliza), I was like LOLWTF? So, far so good for Arianna (having your furniture out on a giant lot is what being a legacy founder is all about). Oh, the good old days of furniture on a bare lot. I sometimes miss them. Great to have you on board! I’m super late but I love the way that Eliza was portrayed here super accurate! Thank you. I wish I did more with snooty Eliza in this generation. At the time I didn’t think too much about developing side characters. Eliza would have been a fun rival for Ariana. Oh well. LOL. Thanks for reading!